The 2017 breeding season this year has been busy. Just the one colt (pictured above at 1 day old) foal out of I Whiz First by Hydrive Cat (USA) was born here at home but 2 colts by Melody Jay were born to outside mares. A colt out of Playgirl (owned by Kathryn O’Regan) and a loudly coloured colt owned by Christie Stahurski. There are lots of arrivals expected for the 2018 season, Spinnin On The Rocks and Royal Whiz are both in foal to Sophisticated Catt (USA), Billarita is in foal to Riarmas TheLastStraw and Whizards Little Step are in foal to Melody Jay. Sadly we lost Jay Di during the winter (due to natural circumstances) so that was a sad time. Jacob and Olivia had a lot of fun showing her over the years, they still have her 2014 gelding who is in training for the 2015 NZCHA Futurity. Western Performance shows are in full swing for the season with Catherine showing Wimpys King Whiz and Riarmas TheLastStraw. Barry is showing Senorita Whiz, and Olivia is showing her mares Riarmas Missouri and Rey Of Hope. Cutting shows are starting up in January and Barry, Jacob and Olivia will all be showing this year. ​Wow it is over a whole year since I have got around to updating the website!! ​Spring 2016 saw the arrival of only one Whizzel baby here at home, Billarita had a chestnut filly. I Whiz First was bred to Hydrive Cat (USA), we are looking forward to seeing what they produce in Spring 2017. ​The show season was busy but very successful at both the Western Performance shows and also the Cutting shows. ​Barry and Instant Whiz (pictured left) travelled down to Albury, southern Canterbury and won the PW & A Cutting Futurity.They continued on and had a very successful show season ending up winning the 2017 Novice National Champion title at the NZ National Finals. ​Royal Whiz was bought back out of retirement and her and Catherine won some U$1500 Non-pro cutting classes during the season. ​Jacob and Spinnin On The Rocks had a great season in the cutting pen and had some awesome runs, finishing up with winning the Open Horse class at the 2017 Futurity Show and also winning the trophy for the highest score of the show. ​Olivia also had a very succesful season on her young mare Smart Little Fletch. ​Catherine competed Riarmas The Last Straw in Western Performance shows, coming away with wins and placings in Ranch Riding, Trail and Hunter Under Saddle. Straw is remaining here until the 2017-18 season for more showing and also standing here for the 2017 breeding season. Senorita Whiz was also campained by Catherine and had wins and placings in Ranch Riding, Trail and Reining. ​August 2017 saw Just Ramblin Jack head off to a lovely new home, congratulations to Philippa Croad, we look forward to seeing you and Mikey out enjoying each other. ​Catherine has recently become a brand ambassador for Cortaflex NZ www.cortaflex.co.nz , they offer a wide range of Equine Health products, check out Catherine Ladd - Western Trainer for more info. June has seen the addition of 2 new members to the family, human and horse. 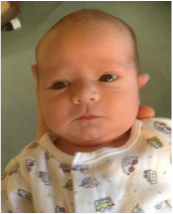 Charlie McCallum was born on 12 June and Whizards Little Step has joined the broodmare band to be bred to Melody Jay. ​Whizzin With Roses for sale. ​The 2015/16 show season has now come to an end. Congratulations to Wayne and Melissa Poingdestre on their Champion titles in the U$1500 and U$750 NZCHA prizegiving riding I Whiz First and to Nicky Carlisle for winning the NZCHA Restricted title riding Spinnin On The Rocks. ​Barry and Instant Whiz finished up with season with winning the 2016 NZCHA Open Futurity in Hawera. Congratulations to Whizzel's progeny and their owners/riders on their successes this past season. Steve Gregory and Play a Melody - NZCHA Novice Horse Champions. Colbie LeQuesne and Jee Whiz - NZRHA Green Reiner Champions. 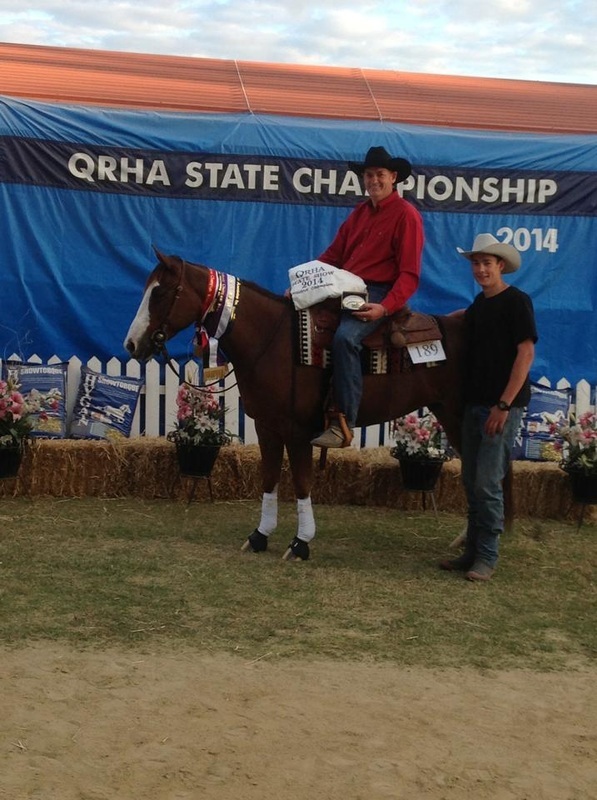 Tania Mapp and Rockin Whiz - AQHA-NZ Nationals Junior Horse Ranch Riding Champions. Stephanie Milligan and Whizzarita - Waikato WRC Show Open Ranch Riding and Trail Extravaganza Winners. March 2016 26 March was the wedding of Jacob and Olivia, held in Martinborough. It was a beautiful day celebrating with family and friends. ​We have had no foals due this year but the western performance shows are now underway for the season with Just Ramblin Jack and Whistle the Blues (owned by Niki Perrett) both being shown by Catherine Ladd. Just Ramblin Jack was Runner-up High Point Senior Horse at the Stratford A&P Show and Taranaki Premier Show and Whistle the Blues won the Open Reining and Ranch Horse Riding (judged out of best scores of Junior and Senior class) classes at the Taranaki WRC Premier Show. Our condolences go out to Rachael Grady on the loss of her special boy Senor Whiz 'Hitch'. Sadly ​Hitch suffered from PSSM and was getting more and more uncomfortable even in his early retirement. Our thoughts are with you Rachael as Hitch and you were certainly a great combination. Congratulations to the AQHA-NZ Amateur and Youth Trans-Tasman teams on​ successes over the weekend, especially the Youth on your win over Australia. It was great to see 2 past Lin-Bar horses competing in the Youth challenge. Congratulations to India Holder with Whizzarita on your win in the Showmanship an​d second placings in Horsemaship and Trail behind Top O The Class being shown by the Australian team. We have had a busy time showing the last few weeks. We had the first show of the season over the weekend, the Stratford A&P Show and it was the first show for all the horses. Catherine showed RiarmasJacksonCounty for owner Vicky Ashton, and Cotton Melody. Barry showed Whizbud, she is being trained for the Cutting futurity but Barry entered her in the Open reining as we get some very good sponsorship from Ballance - Agri Nutrients. Last of the foals are safely on the ground with Jay Di and Royal Whiz both having colts. Congratulations to Jason Melling and Colonel Whiz on your placings at the 1014 Reining Australia Championships. 5th place in the Non-pro Futurity and 4th place in the Limited Non-pro Futurity. Our 2014 foaling season has started with the arrival of a Melody Jay x Cotton Baroness filly, born 2 October 2014. See the progeny page for pictures. Congratulations to Jason Melling and Colonel Whiz on recently winning the Intermediate Non-Pro Futurity at the Queensland State Reining Championship in Australia. It has taken awhile but we are finally able to keep up to date with our new website. After getting a new computer we weren't able to up date our old one so I have transferred everything over to this one. Our 2013-14 show season has been very successful, Barry, Jacob and Olivia have all had a great season in the cutting pen. Catherine bought Melody Jay out of retirement again to have some fun as had limited time to show a young horse with having a young baby. We had a very successful season with attending only 4 shows to win 2 Open Reinings, 5 wins at the AQHA-NZ Nationals, a few High Point Awards and the Open Reining at the NZRHA Show.